Reserve Bank Governor Raghuram Rajan's successor is likely to be announced as early as this week, for which top contenders include NITI Aayog's vice chairman Arvind Panagariya and former RBI Deputy Governors Subir Gokarn and Rakesh Mohan. Sources said a decision is expected soon after Prime Minister Narendra Modi's return from his four-national Africa trip on Tuesday. Rajan, whose current three-year tenure ends on September 4, made a surprise announcement last month that he would not seek a second term and would return to academia, triggering intense speculation about the possible contenders. 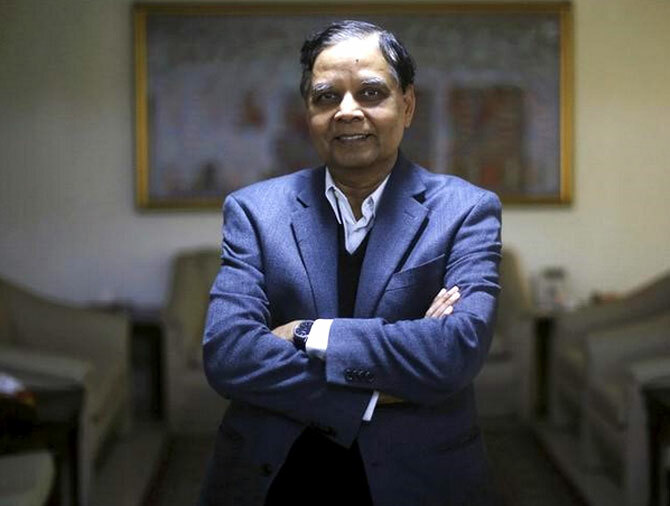 Among those being talked as possible contenders, 64-year-old Panagariya is also India's key negotiator at G20 summit and has been Professor of Indian Political Economy at Columbia University. He is a former chief economist of the Asian Development Bank and professor of Economics at the University of Maryland at College Park. He has also worked with the World Bank, International Monetary Fund and UNCTAD and is PhD in Economics from Princeton University. Pangariya, who is said to have been mentored by noted economist Jagdish Bhagwati, has been a vocal supporter of various economic policies of Narendra Modi, including as prime minister and before that as chief minister of Gujarat. Among other possible contenders to replace Rajan, on-leave professor of Finance at Chicago University and a former chief economist at IMF, Gokarn is currently serving as an executive director at the International Monetary Fund, a post previously held by Mohan as well. Others said to be in the fray included SBI chief Arundhati Bhattacharya, economic affairs secretary Shaktikanta Das, chief economic adviser Arvind Subramanian and RBI's current deputy governor Urjit Patel. Traditionally, prime minister picks the RBI governor after consultation with the finance minister and the same process is likely to be followed this time. Sources said once a new governor is named, he will become an Officer on Special Duty (OSD) in the central bank to allow smooth transition. Rajan, who will have the shortest tenure as RBI governor since liberalisation began in 1991, decided not to seek a second term amid unbridled political attacks against him including by BJP MP Subramanian Swamy.